En nuestros correos electrónicos como en tantos otros, se reciben a menudo propuestas en don se ofrecen el “oro y el morro” con muchas variantes: unas veces una herencia, otras dinero de un fondo que quedó por ser usado y no lo fué pero que se necesita compartir, una lotería, un visa americana, el dinero de una viuda, etc. Por asumirse mientras no se nos demuestre lo contrario, que se trata de presuntos intentos de fraude, nos proponemos publicar los que nos han llegado para someterlos al escrutinio de nuestros amigos lectores y también a la ratificación o rectificación del caso. Por razones obvias, no publicamos datos de contacto que van impresos en esos correos. been verified and confirmed okay by this payment department. to effect your payment as soon as possible. beneficiaries payment will be released. by contacting renowned Rev.Justice wayne below who will issue you the re-validation form, the money transfer information and ten digits Money transfer control numbers (MTCN NUMBERS) which you will use to receive the first payment in your country because it has already been sent. When contacting Rev.Justice wayne send the following information to him, which will be used for re-validation and verification of your payment file. and note that it is illegal to deal with such people because you have been notified by this FOREIGN PAYMENT DEPARTMENT. cooperation with this foreign debts payment department you can receive your first payment tomorrow. today with the following particulars attached to it. Please note that all winning must be claimed not later than 30 working days. My name is DR. Laurens Vis I work with KAS Bank here in London branch as an account manager of the bank manager. I have a business proposal for you in total amount capital of Ј19,850,000.00 GBP. Please noted that you are not required to pay any upfront payment in this business proposal. If you are interested kindly get back to me for more details and send me your complete information, your full names and address, Your Private telephone and Fax numbers, and Cell phone. INHERITANCE PAYMENT” to the above account. stating that we should make the transfer to the account presented to us. Please advise immediately so that an immediate action will take place. For Debt Reconciliations Committee, United Kingdom. I am Sir Gordon White of Her Majesty Customs Revenue. Please be informed that there is presently a counter claim on your funds by Mr. Justin Edwards. The aforementioned person has presented a death certificate, claiming that you are dead. Consequently, he is claiming to be your next-of-kin therefore the beneficiary to your funds.Please be informed that Mr. Justin Edwards has provide the account stated hereinafter for the receipt of your funds. Having exhausted other means of communication, we have decided to send this message. Do we release the funds as Mr. Justin Edwards instructed? As a matter of urgency, you are hereby advised to revert to us within the forty two four hours. On your failure, we shall initiate payment. 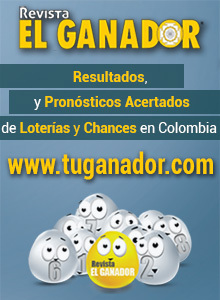 es orgullosamente patrocinado por la organizaciуn suiza-Lotto. de los fondos de este premio tan pronto como usted en contacto con ellos. el abuso injustificado de este programa por parte de algunos elementos inescrupulosos. Asunto: Le informamos que usted ha ganado £ 250,000.00 (GBP), alojado en nuestra Unión Occidental (Cash4-u) Cuenta de salida que se transfiere a usted como una compensación por el (OLÍMPICOS LONDRES 2012). Le informamos que usted ha ganado £ 250,000.00 (GBP), alojado en nuestra Unión Occidental (Cash4-u) Cuenta de salida que se transfiere a usted como una compensación por el (OLÍMPICOS LONDRES 2012). profit made by my branch. and address on the account holding the funds. make you a non resident customer of the bank. transfer of the funds to your designated bank account. You will get 30% of the funds for your role. number, we will consummate the funds transfer within one week. Espero que estйn disfrutando de un verano muy bien. beneficio obtenido por mi rama. y la direcciуn en la cuenta de haberes de los fondos. hacer que un cliente no residente del banco. la transferencia de los fondos a su cuenta bancaria designada. Usted recibirб el 30% de los fondos para su rol. nъmero, que serб consumada la transferencia de fondos dentro de una semana. Agradezco cualquier comentario que pueda tener. I have information for you about an unclaimed funds in my department. Please get back to me if interested so I would brief you in details. Asunto: Saludo a Usted en el nombre del Todopoderoso. Saludo a Usted en el nombre del Todopoderoso. decisión que tome va a recorrer un largo camino para determinar mi futuro. utilizar los fondos para obras de caridad. Deseo confiar este fondo a usted PARA obras de caridad. interesados ​​en manejar estos fondos fiduciarios de buena fe. millones de personas pobres en nuestro hoy? MUNDO s.
si usted puede manejar esta tarea. Morning, so I was really bored and began just visiting on PBS’s hometown entrepreneur section on wednesday & studied about a brand new self-employed opportunity where school teachers earn around $3300 every few days and they did not know if i should believe all of it in the beginning but we really had to try it out & thank god I did since I’ve somehow made $447.52 on my very 1st full day. It is seriously simple I have already been paid with direct deposit – its the best oppurtunity that has happened to me in my life. Here’s the article.. FOX Researches 2012′s Hottest Online Based Jobs lu7 I really think pretty much everybody with access to a computer should try to perform the job so Im sending this to all our old freinds and loved ones. Id like you to join and make some cash your self.. you can share this webpage with everybody you know who needs more cash so that we can all get out of the economic nightmare! I am aware that this is certainly an unconventional approach to starting a relationship but I believe knowing each other starts from a step of which I believe I am not making a mistake exposing this very important business offer to you? Firstly, let me identify myself without any intention of equivocation. I am Mr. Ganiyu M. Adegboyega, the head of account of Exxon Mobil Corporation Nigeria ( Crude Oil exploration Company) here in Nigeria, I got your email contact on the internet in a desperate search for a reliable partner there in your Country to champion this transaction that is of mutual benefit to you and me . First I will like to give you brief information about the deal I am to present to you,I am the head of account of this Company and also a member of the contract awarding committee (CAC), in the year 2007 a foreigner and a registered contractor of this company was awarded a contract value of Sixteen Million Five Hundred Thousand United States Dollars [$16.5M] and the contract was dully completed as at the time of payment 3months after completion, the payment was transferred into his domiciliary personal bank account here in Nigeria as the director of the Company. After several years of transferring this payment into this bank account, the bank has expected this director to come up for the monthly running of this account, but this has not been on further investigation it was discovered that this foreigner was killed in a Gas explosion in the United Kingdom and the bank has expected the relative or business associate of this late contractor to put in claims on the fund in this account, but this has not been since the year 2007. The bank has recently sent a notification letter to my Company on the arrangement to declare this fund unclaimed and be transferred into the treasury account with 40% commission, on this observation I have quickly intervened by responding to the bank that I have been in communication with the business partner of this late contractor, my company is not aware of this arrangement, I wish to arrange the release of the money to you by re-profiling the ownership with your details,provided you are ready and willing to cooperate with me. I can guide you confidently on the process to the claim and release of the fund to you for our mutual benefit instead of allowing the money to be forfeited to the Government, because the rightful owner is a citizen of your country. 50% is for me as the initiator and I will confidently hand over to you all the essential documents on this very contract that the payment is lying unclaimed in the bank, you will also guide me on the investment of this my share into real estate there in your country. 45% should be for you as my partner, considering the essential role that you will play in this transaction. 5% should be for hidden expense reimbursement that should be incurred on the legal actualization of this project in your favor. Brief information that should include age, marital status and nature of Job. to indicate your interest to go into this partnership with me to pull this deal through for our mutual benefit. I wish to stop for now until I am certain we can do this together, then I will give you details. write me on my email to show your interest. que opinion tienen de este que me llego? And Now Western Union Foundation Malaysia is awarding $1 Million, 50 Thousand US Dollars to 3 Individuals and We wish to inform you that you have been selected to receive prize of $350,000.00 USD in the On going 2013 Western Union Foundation Grants. Your funds will be sent to you via Western Uniion Money Transfer $10,000.00 USD Daily by us until the full amount is completed. ©2013 Western Union Foundation, Malaysia Inc.
NO SE PONGA EN CONTACTO CON ELLOS. PRESUNTO INTENTO DE FRAUDE. COOREO SOSPECHOSO que suele llegar. This Email was Randomly sent to 3 Western Union Users Worldwide who has been using the Western Union Services in sending Money to Friends, Relatives Or Business Purposes. ::: We wish to inform you that WESTERN UNION FOUNDATION MALAYSIA is awarding $1.2 Million US Dollars to 3 Western Union Customers Worldwide and be informed that you have been selected to receive prize of $400,000.00 USD in the On going 2013 Western Union Foundation Grants Promo. Your funds is Ready to be Transferred into a Western Union MoneyWise Visa Card and which will be Couriered to your Home Address. NOTE: The Delivery/Courier of your Western Union MoneyWise Visa Card is FREE !